“Toxic Masculinity” And Other Ignorant Labels: A Ranger looks at how Gillette, the American Psychological Association and an Ex-Navy SEAL got masculinity wrong. And why it’s really all about empathy. Each one of the above statements is equally offensive. They are offensive because they stereotype a behavior to a gender, or type of person. However, we have rightly condemned the former statements, but have done so by allowing the latter, and further labeling the former comments as “toxic masculinity.” Think about this – we stood up against labeling by labeling. We countered prejudice with more prejudice. In this regard, the term “toxic masculinity” is another ignorant label. The philosopher Immanuel Kant spoke about two kinds of judgement that lead to reason: deterministic judgments and reflective judgments. Deterministic judgments are those that come from objective reasoning. Reflective judgments are those that we derive from personal experience and come from our emotions, both positive and negative. Reflective judgments are more concerned with how things are imagined or felt and are not grounded in reason. While we all desire to use reason in arguments, we are wired, physiologically, to default to reflective judgment. 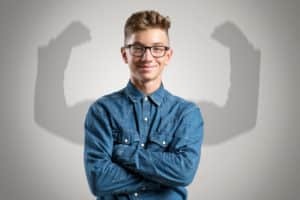 Kant’s perspective is important as we look at the idea of toxic masculinity, and even the new guidance that the American Psychological Association (APA) just published in reference to assisting psychologists work with men and boys. At first look the APA seems to have confirmed the idea of toxic masculinity. In doing so, bolstered those that view men as the enemy; enraging those that feel they are representative of the male stereotype that is being attacked. Both sides are wrong, and so was the APA. Both sides are using reflective judgments to prove their point, and while these feelings are ok (even Rangers think feelings are good), they don’t address the objective reasoning behind the APA’s move. And the APA is trying to use deterministic judgement from research to put forth a view that helps their relevance and attempts to undo decades of “situational ethics” they displayed in their work with the government. Let’s start with those that believe in toxic masculinity. They feel that the “traditional” view of what it means to be a man is uncaring, unfeeling, unthoughtful and cruel. Masculinity is the root of violence, greed, aggression, the stifling of feelings and numerous other ills of the world. They feel this in their very bones, because they see it daily, they point to evidence all around them that they deem as proof. However, what they see is what they look for, rarely looking at reason, but paying attention to how they feel. This leads them to hate (yes, I said hate) a group of people because of their gender. To this group, men are the problem, not some men, most men. Even Gillette’s new controversial ad states that men need to “Say the right thing. To act the right way. Some already are. But some is not enough.” In this statement they are clearly implying that most men are “bad” – either behaving inappropriately or not holding others accountable for bad behavior. Can you imagine if we chose any other group and said that about them? Replace “men” with anyone …women, a particular minority, a nationality. It would be vilified as hate speech – and the inaccurate, and irresponsible statement from Gillette, and those supporting that statement, should be held to the same. But then there is the other side. The folks that think they are representative of what is good about masculinity. They cheer the masculine traits of stoicism, competitiveness, dominance and even aggression. 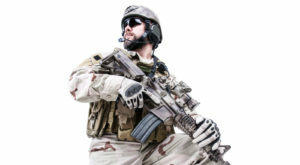 An ex-Navy SEAL recently wrote an Op-Ed advocating for these traits and arguing that to believe in a world where these were not necessary was to live in a “fictional domain.” This group feels attacked, and maybe rightly so. They again are using feelings to justify their logic, I mean heck, their idea of masculinity has worked for them, and they aren’t bad people. They rail against the idea that their gender is bad, because of course, they aren’t. To this group, they are fighting to justify their very existence. This Op-Ed did go on to state that those traditional masculine traits needed to be tempered and balanced, and in the end, maybe he too was trying to say it’s not about gender, it’s about humans. Unfortunately, I am not sure that message was understood by all. Finally, the APA and their new guidelines. After reading what they have said in depth, I think their intent was good – “let’s make life better for men,” but their delivery was poor. They clearly agree with the idea that the traits of stoicism, competitiveness, dominance and aggression are all necessary in some instances, but being aware of when is important. That said, we do need to look at the timing of this information and why they put it out. For years the APA has tried to make amends for some “questionable” ethics practices they and their leadership practiced when working with the federal government. Ethically, by and large, they were seen as in bed with the government, and not the good bed, the bed that was about the military and torture. For almost a decade they have tried to reverse that image by publishing hard-hitting publications like: Does TV Accurately Portray Psychology and Today’s Superheroes Send the Wrong Message to Boys. Bottom-line, look at what the APA put out, what you agree with, practice, what you don’t agree with, ignore. And that is the lesson here for all of us. This isn’t about boys and men being “bad” and everyone else being “good”. This is about labeling entire groups based on our judgments of some of them – and in every circumstance, though time-saving, it is the wrong thing to do. The biggest issue is that any time we label a group and bunch people together based on a stereotype, we commit a prejudice act. And we never advance one group by attacking another. More importantly we credit an entire populace with the actions of a few. I served in the Middle East and fought against Muslims, I do not think all Muslims are bad. I have been treated poorly by women, I do not think all women are bad. I have been told by Christians that I am going to hell for not being a Christian, I do not think all Christians are bad. I think the majority of humans are good. I have had negative interactions with people of all walks of life, I do not hold their demographic accountable, I hold them accountable, and in some instances, I hold myself accountable. I don’t hold myself accountable as a man, or as a Caucasian, or as an American, or as my religious affiliation, or as anything – other than a human being. So, let us hope that our daughters feel competitive when they need to, so they can succeed when faced with opposition; let us hope our sons can cry openly when they are moved to weep; let us hope our children can be who THEY are, not what anyone portends them to be. There will always be someone else’s idea of who WE should be, we will always feel this pressure, and we must realize that as long as we are true to who we are, we are ok. So, don’t buy into toxic masculinity, and don’t believe that you are a snowflake, or a wimp if you aren’t competitive, stoic or aggressive. Better yet, don’t believe any label that someone puts on you, and don’t label yourself. Just try and be the best person you can be.